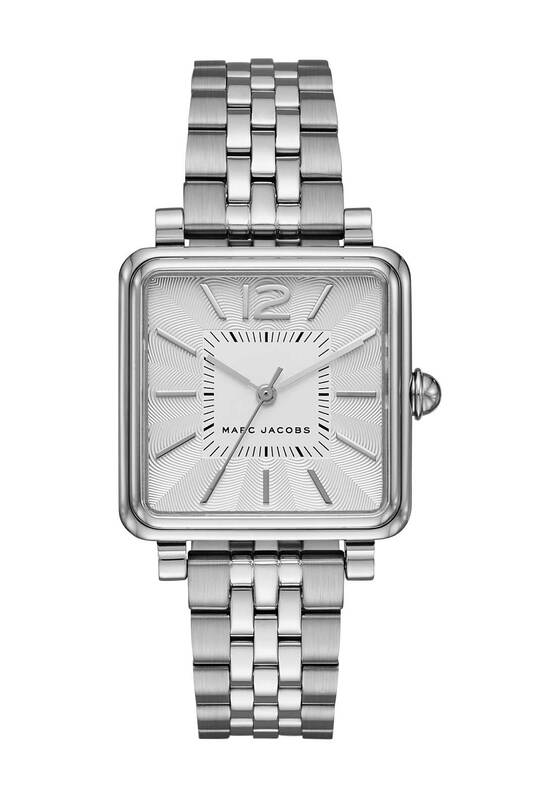 Marc Jacobs presents their silver plated Vic watch which has a bracelet strap and eye-catching square face. 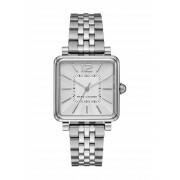 Features include hour markers, three hands and logo branding. A contemporary accessory for work or play.